Sorry... the 2017 Mercedes-Benz AMG G 63 is no longer being sold as new. 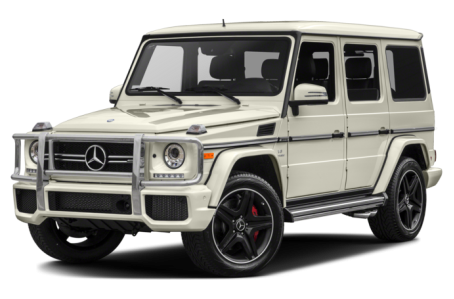 Instead, take the first step to a great deal on 2018 Mercedes-Benz AMG G 63 with a free price quote! The 2017 Mercedes-Benz AMG G 63 is the high-performance version of the flagship G-Class SUV. It is powered by a 563-hp, twin-turbocharged 5.5-liter V-8 engine mated to a 7-speed automatic transmission that produces 561 pounds-feet of torque. All-wheel drive (4MATIC) comes standard. Maximum cargo capacity is 79.5 cubic feet with the rear seat folded down.